Brilliant dark bronze amber color. Delicate, fresh aromas and flavors of strawberry compote, dried strawberries and herbs, and hint of balsamic with a supple, crisp, fruity sweet medium body and a tingling, charming, medium-length finish that shows notes of honeyed strawberries and touch of caramel finish. A very pure, superbly flavorful strawberry syrup that makes a great cocktail. 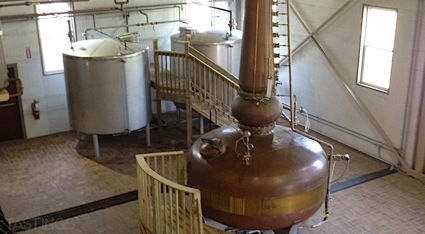 Bottom Line: A very pure, superbly flavorful strawberry syrup that makes a great cocktail. 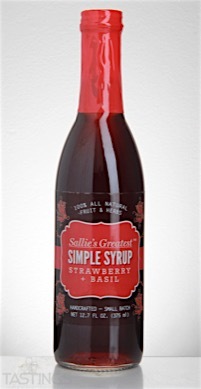 93 • Sallie’s Greatest Strawberry + Basil Simple Syrup 0% (USA) $12.99. Sallie’s Greatest Strawberry + Basil Simple Syrup rating was calculated by tastings.com to be 93 points out of 100 on 5/11/2016. Please note that MSRP may have changed since the date of our review.